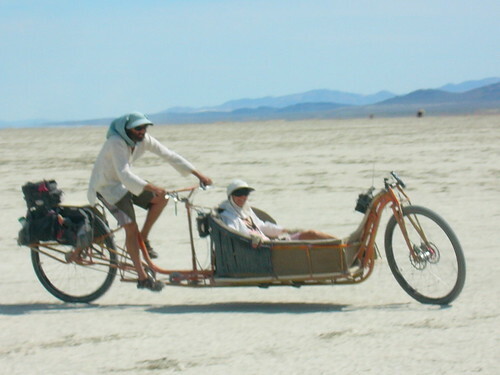 Hello the photos are attached are of the Chaisecruzer or Bikeashaw at least until some gives me a better name for it. It is an xtracycle /bakfiets missing link. 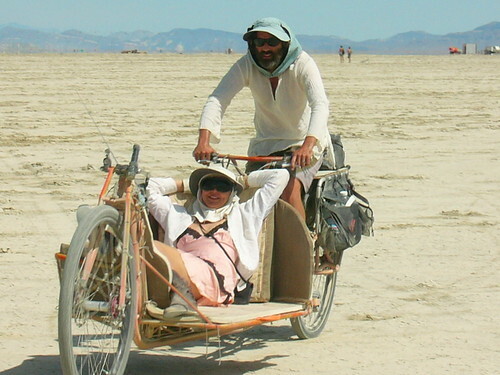 It was built by us for the 2009 Burning Man for our transport and as a test platform.